The upcoming Zendaya Tommy Hilfiger fashion collaboration is undoubtedly one of the most highly-anticipated celebrity-fashion designer team-ups of the year. Now, the Spring 2019 launch has gotten even more exciting, because the 22-year-old actress and singer has unveiled the first look at her 70s-inspired collaboration lookbook before dropping this March. 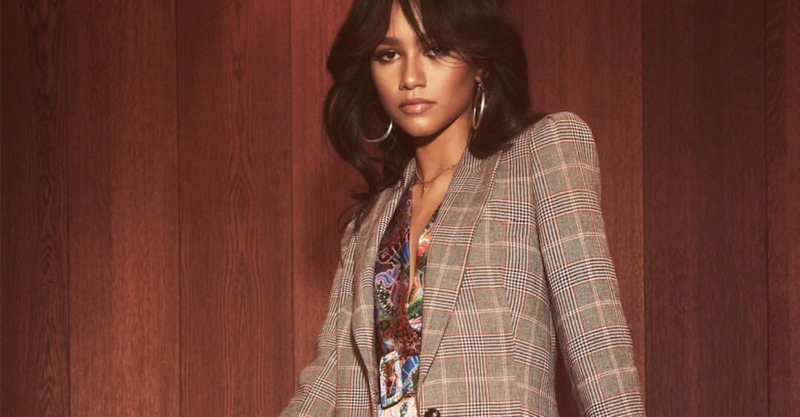 Tommy Hilfiger chose Zendaya to create this strong, chic, and empowering line because she perfectly embodies the values he wants to put out there. The garments are all about putting your most powerful foot forward, whether that’s in your work or in your personal life. Z certainly has learned to do that for herself! While Zendaya has been a fashionista and style trendsetter for as long as she has been in the public eye, the star admitted that she focused on the most mature version of herself when developing these pieces. “Honestly, and selfishly, I made clothes for the ‘grown woman me,’ the staple pieces I feel I need in my wardrobe now that I’m maturing into my own style,” Zendaya added. For this collection, Zendaya also teamed up with her longtime friend and star stylist Law Roach. Their collaborative efforts always prove the duo is a match made in heaven, but the Tommy Hilfiger line specifically showcases how on the same page they really are. Click through the gallery below to view the lookbook of styles from the upcoming Zendaya Tommy Hilfiger collection launch. To see even more from the Zendaya Tommy Hilfiger collaboration, be sure to press play on the brand’s behind-the-scenes video below. More fashion news from Zendaya. More style updates from the Tommy Hilfiger brand.